Is This the Toughest (or Easiest) Premier League Season Yet? Every Premier League season is tough. Unlike other leagues in the world – except maybe its second tier league, the Championship – the PL is notorious for a lot of things, including its 6-horse title race and the cold, wet Wednesday nights in Stoke City. 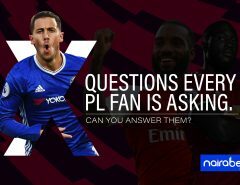 Just like in the past, the 2017/2018 Premier League season has lived up to the notoriety of the past seasons and has even surpassed it by a good margin. Why do we say this? For all its worth, Manchester City has created what now looks like an unassailable lead in the league. Then the battle for a top-four finish is already taking shape, with five teams battling it out for the remaining three UCL slots available. With all these put together, is this the toughest (or easiest) Premier League season yet? Different teams will have different answers to the question. Sides like West Ham, Everton, Swansea, and West Brom that have had to sack and re-hire managers may not describe the season as the easiest one yet. Manchester City players and fans will tell you that this has been a mixture of both for them. On one hand, this has been the easiest PL season yet because of the distance they’ve been able to create between themselves and the chasing pack. On the other hand, this has been the most difficult season yet for the Citizens because of how they’ve been forced to keep up their high standard of play over what has been a long season. Manchester City face Liverpool in their next Premier League game. Will there be a repeat of the goal fest we witnessed earlier in the season? Is it Liverpool’s turn to revenge that 5-0 loss? The league features over 450 players in different clubs. If asked, most of them will definitely have different answers to the question. For a player like Romelu Lukaku, he’ll describe it as the toughest season yet after receiving so much criticism during the period he was experiencing a goal drought. Raheem Sterling and Mo Salah will have different tales to tell. After scoring so much to rank third and second on the goal scorers’ chart respectively, it’s been a sweet season for both players. Though we know “sweet” doesn’t necessarily mean “easy”. Liverpool have not lost to Manchester City at the Anfield Stadium in over 15 years? Is this the time for City to break the jinx? Will Sterling and Salah score? For players like Alexandre Lacazette, Wayne Rooney and Roberto Firmino, it has not been the easiest PL season yet as they’ve been substituted more times than any other player in the Premier League season. The referees have come under a lot of pressure this season. And maybe this is why Vide Assistant Referee (VAR) is set to be introduced to English football. So many refereeing decisions, especially the one in the game between Chelsea and Arsenal, the one that ended in a 2-2 draw, have cost many teams. And if asked, these teams will tell you that “farcical penalty decisions” have made this Premier League season one to quickly forget. How about you? 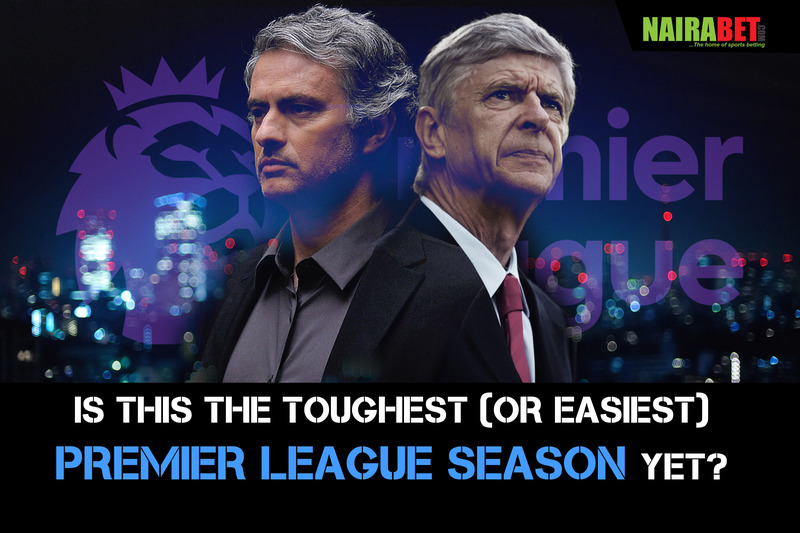 Has this season been the easiest or the toughest one for your beloved club in the Premier League? How has it affected your betting experience – has this season been the toughest for you?